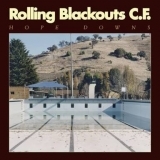 Hope Downs is ranked as the best album by Rolling Blackouts Coastal Fever. Members who like this album also like: Crack-Up by Fleet Foxes, ★ (Blackstar) by David Bowie and Sleep Well Beast by The National. Crocodile Cafe, Seattle, United States. Doug Fir Lounge, Portland, United States. 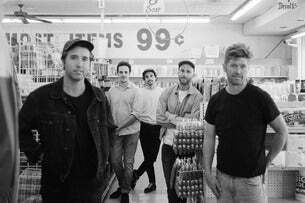 Related links: top tracks by Rolling Blackouts Coastal Fevertop tracks of the 2010s, top tracks of 2018. Showing latest 5 ratings for this album. | Show all 86 ratings for this album. Track 1: "An Air-Conditioned Man"
Track 7: " Cappuccino City"
Explained: a rather superb tip of the hat to Australian icons Midnight Oil and in particular their song "Short Memory" which appears on their classic 1982 album ' 10 , 9 , 8 , 7 , 6 , 5 ,4 , 3, 2, 1 ' . To quote the original track "Belgians in the Congo short memory"
Yeah the songs are all pretty good and they're clearly talented, I could see why this album could be seen as a pleasent surprise for fans of it's style but not getting the messianic hype at all. 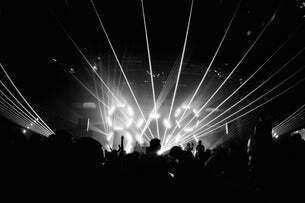 While never a weak moment or song there also wasn't anything that felt really new or vital. Solid but perhaps exceedingly high expectations have personally put a damper on this one, maybe something will spark with repeat listens, donno. It's jangly and uptempo indie-pop. It's not original but it is ok. Soon to become the jangle pop album of our generation. RBCF's clean, summery debut is as warm as its album artwork implies, with youthful spirit and a gorgeously jangly pop rock feel. Compared to the vast majority of indie albums of recent times, this one stands out beautiful with the depth of its production and its fantastic guitar riffs, which I could write about extensively for each individual track. A pre-packaged summer soundtrack, who's detail will ensure this is remembered as one of 2018s best releases by far.